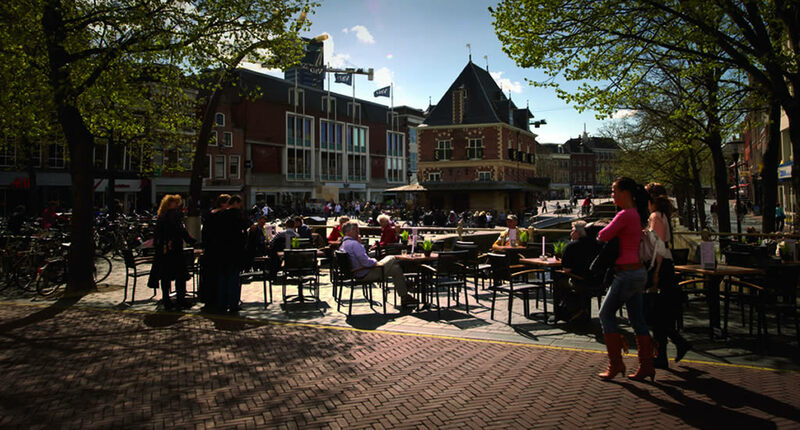 Visiting Leeuwarden is the perfect opportunity to sample the northern Dutch hospitality and to get away from the bustle and crowds in Amsterdam. 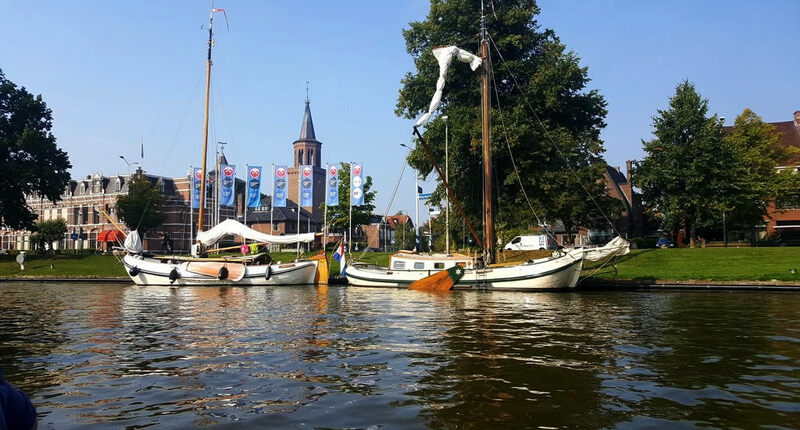 Leeuwarden has everything you desire from a ‘traditional’ Dutch city, such as canals, gabled houses and a happy flow of cyclists riding the paths across town. But Leeuwarden is also pretty trendy, with repurposed industrial sights, high-quality museums and excellent dining opportunities. Use this city guide Leeuwarden to plan your trip. Once upon a time, Leeuwarden wasn’t much more than a heap of sand, also known as a mound (‘terp’ in Dutch). People have lived here since 2000 years when the mound was still called ‘Oldenhove’. 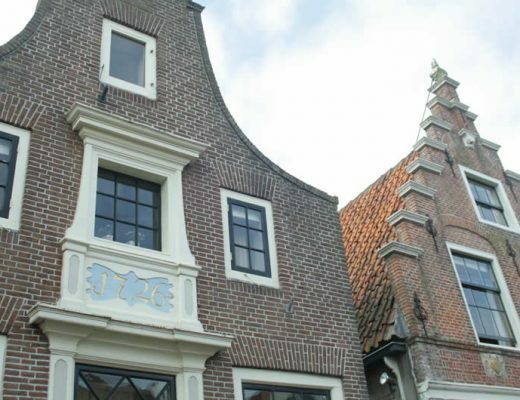 In the late Middle Ages, Oldenhove was merged with three other villages and this was how Leeuwarden was born. Not much later, at the end of the 80-year war (after kicking out both the Spaniards and all the Catholics), Leeuwarden bloomed. 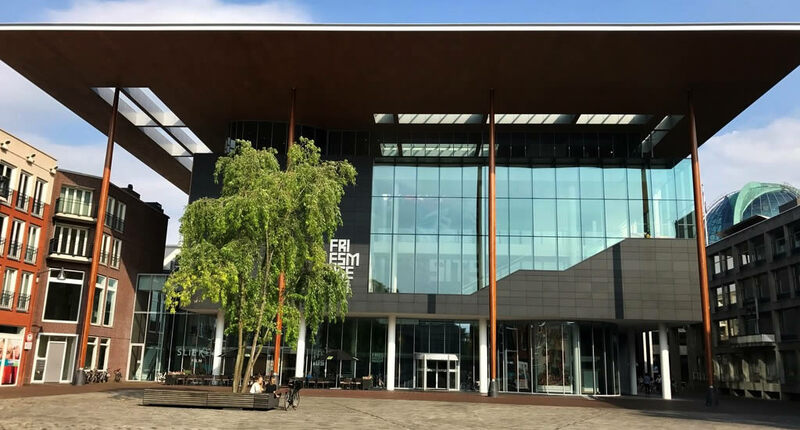 The city is now capital of Friesland (Frisia), one of the friendly provinces in the north of The Netherlands. Friesland’s language ‘Frisian’ is a recognized official language in The Netherlands, so don’t be surprised to see street signs in two languages, Dutch ánd Frysian. This is all part of the charm of Leeuwarden, and Friesland in general. Living in the UK it’s actually easiest to fly directly from London to Groningen with Flybe. Return tickets come as cheap as €60. From Groningen, just catch a direct train to Leeuwarden. It will take about an hour to get there. If you’re flying into Amsterdam (and why not, it’s so cheap to fly to Amsterdam), it’s also really easy to get to Leeuwarden. 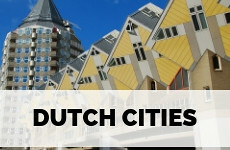 From either the airport or the city centre, catch a train to Leeuwarden. It will take you probably around 2 hours to get there. To travel by train in The Netherlands you can buy a ticket at the machines at the station, but it’s easier to buy an OV Chip Card. You can charge this card as you go and it can be used on every kind of public transport in The Netherlands. 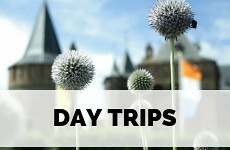 Plan your trip in The Netherlands with my inside tips and advice. Leeuwarden is gloriously compact, especially the city centre and it’s wonderful to stroll around town. 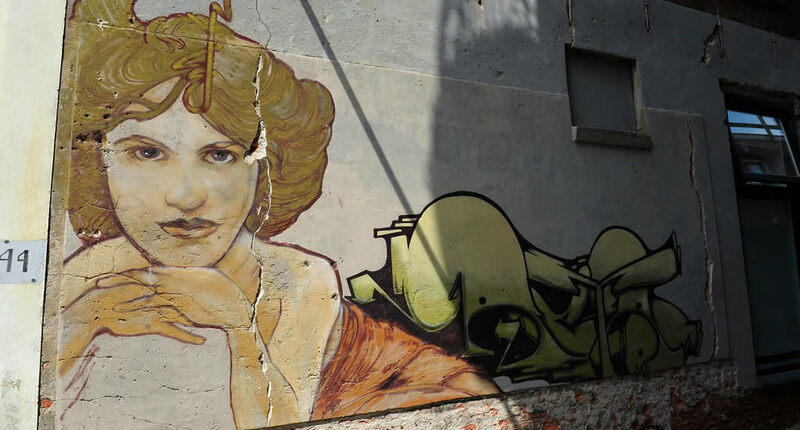 But joining the A guide to Leeuwarden tour (every Saturday at noon) is also rather fun, as it takes you along historical highlights, as well as street art and hip eateries. This nifty and free map also guides along the best hotspots in Leeuwarden. It’s such a joy to discover Leeuwarden like a real Dutchie, so rent a bike. It’s possible to rent bikes at the Leeuwarden tourist office for €10 a day. Leeuwarden has an impressive structure of canals, in and around the city. 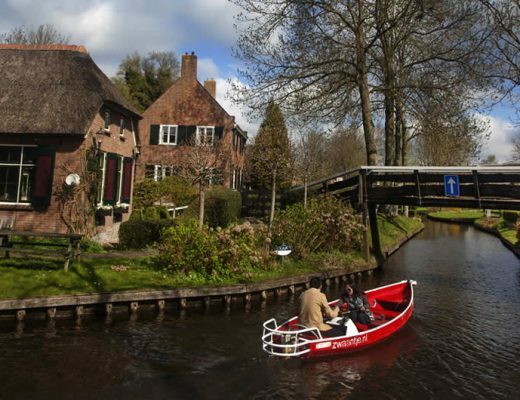 If you know how to handle one, go on and rent a small boat (in Dutch known as a ‘sloepje’) for half a day. The three levels of this museum are divided into a variety of galleries. I think it’s worth starting at the Ferhaal fan Fryslân gallery, and the story about the 11 Frisian cities, as it’s interesting to get a grasp of the special province you’re in since this is a unique place in The Netherlands. But don’t skip the exhibitions about the life of Leeuwarden-born Mata Hari and the one about the local resistance against Nazis during the Second World War and the ‘hunger children’ (children from big cities like Amsterdam, Rotterdam and The Hague that were starving during the winter of 1944 and sent to Frysia to be taken care of by local families and farmers, entangling their lives forever). ‘Leen een Fries’ (borrow a Frisian) is such a wonderful initiative, simply try it. You simply ‘borrow’ a local for 90 minutes, who offers his or her time for free to show you around their favourite parts of town. You either walk or bike. On the edge of the city centre of Leeuwarden, you will find the Oldehoven towers, which leans over quite scarily. It has been so after it was built in the early 16th century and was left that way, albeit a little less high than intended. Climb the tower for a lovely view over the city and region. The pretty 17th-century mansion in which this museum houses alone is a good reason to visit this museum, though the enormous collection of Delftware, Japanese, Vietnamese and Chinese pottery and porcelain will also not disappoint. The impressive sight of the historical Blohuisport leaves no question what function it held throughout the centuries: it was the cities prison. 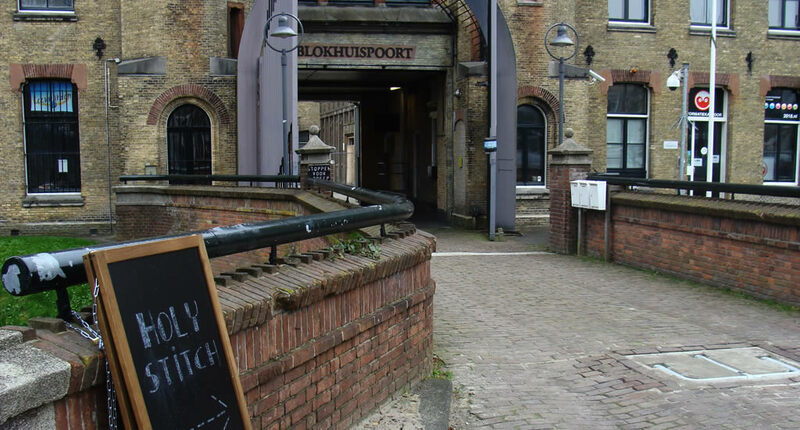 But since a larger jail was opened elsewhere in the city, Blokhuispoort was converted into a creative hub. Creative entrepreneurs now have offices in what was once a cellblock. Every few months small (internet) sellers can rent a cell and sell their products or host workshops. If you’re in Leeuwarden during this Holy Stitch event I think you should definitely go to check out Blokhuispoort, though the cosy café is also a good reason to visit. Dutch gin is called ‘Jenever’ and you haven’t visited The Netherlands properly if you haven’t tasted some Jenever. The museum is set in a gorgeous old townhouse and the traditional distillery is like travelling back to the 1930’s. You absolutely have to taste the traditional, and famous, Beerenburger (a bitter), Boomsma Wild Blackberries or Boomsma Dry Gin. Leeuwarden, at first glance, seems like such a traditional Dutch city, with its canals, gabled houses and bikes stacked up everywhere. But there’s quite a contemporary feel to the city as well. You can join a (free!) 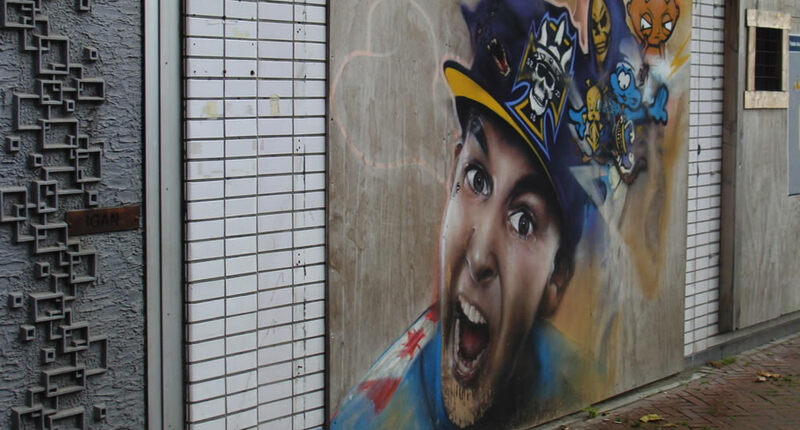 street art tour to discover some excellent murals in Leeuwarden. 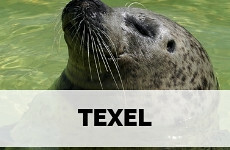 Some are dedicated to the famous historical figures of Leeuwarden, others are about free subjects. You simply can’t miss Waag during your visit to Leeuwarden. It was built as the cities weight house at the end of the 16th century and its steep roof with small towers is just enchanting. Step into the café or sit on the terrace when the sun’s out to enjoy coffee and some proper apple pie or a bit of lunch in the afternoon. The Dutch way to have lunch is to order an open-faced sandwich, and maybe some soup. This is done best at Broodje Bewust, where you order the best sandwiches in Leeuwarden. All ingredients are organically grown and the coffee is pretty superb too. 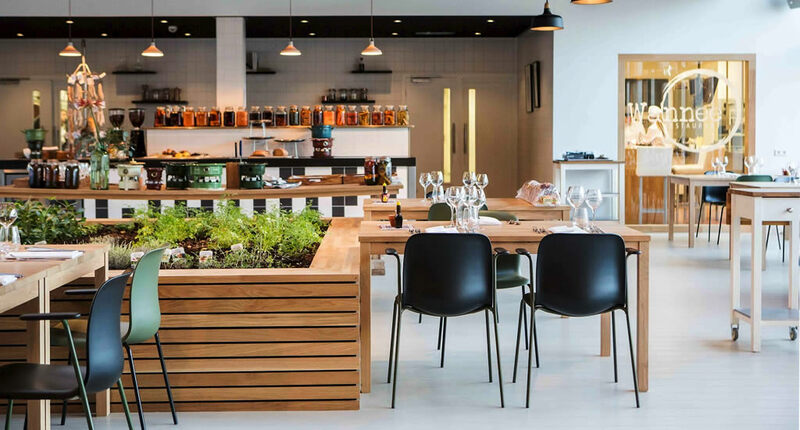 It doesn’t really matter when you walk into Het Leven, whether it’s for coffee and the local paper or for an evening of drinks and dinner with friends. Het Leven is always good fun. The café is close to Blockhuispoort, prettily designed and cosy. The lunch options are excellent. Whenever my husband joins me on a trip, I let him choose the restaurant for dinner. In Leeuwarden he came up with Sems and man, were we impressed! The restaurant is actually divided into a wine bar and a restaurant section. Simply order a selection of small plates to share to be brought to your table, so your taste buds can do some proper feasting. Every dish can be accompanied by a matching wine, don’t be afraid to ask the friendly staff to advise you. When I tell you that ‘Proefverlof’ means ‘Probation’ in Dutch it will come as no surprise that this excellent lunch and dinner spot is housed in the old prison Blokhuispoort. You can order a drink and read by the fire, have a cocktail made from local (or not so local) booze at the cosy bar, order an excellent burger or have dinner in one of the old cells. Students of the local hospitality college are running Wannee by preparing good food with respect for the local culture and nature. 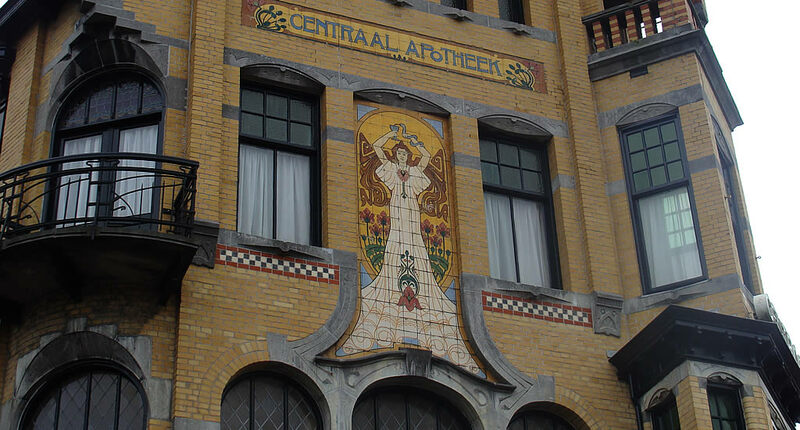 It’s part of the Stenden Hotel and so worth visiting. The clean and great atmosphere is quite relaxing, not to mention the 6-course dinner for only €30. ‘Sjoddy’ actually means ‘See ya’ in Frisian and you’ll probably want to visit again after tasting the tasting platters. This place is actually great for afternoon drinks, accompanied by one of the scrumptious snack platters. As the name suggests: you can spend a night in jail at Alibi Hostel. 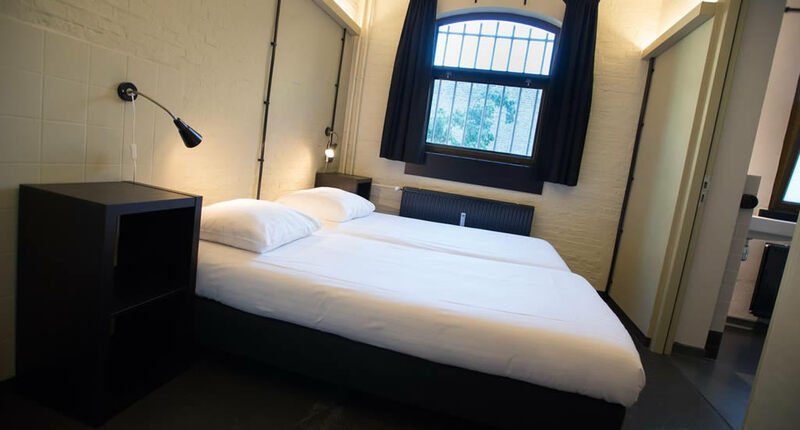 The old prison cells of Blokhuispoort have been redesigned into a proper boutique style hostels. Some rooms have bunks, but you can also choose a double room. The bar and breakfast area are cosy. 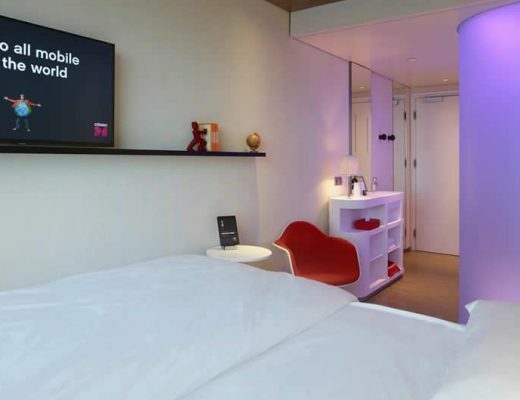 I think Hotel Post Plaza is probably the best place to stay when you decide to spend the night in Leeuwarden. Set in the beautifully converted old head post office, the restaurant and bar are simply stunning, as well as most of the rooms. They all seem to breathe history, though they’re all quite comfortable and spacious as well. The restaurant of this hotel is pretty excellent too if you don’t feel like dining out. 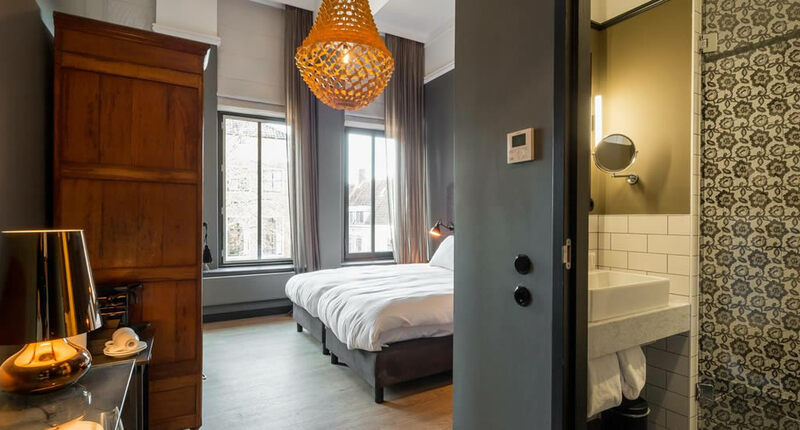 Stenden proves that high-quality accommodation doesn’t have to be expensive, you can stay here for as little as €72 a night. All rooms have a Nespresso machine and complimentary chocolate bars. The hotel is a 15-minute walk from the city centre. While you’re in Leeuwarden? 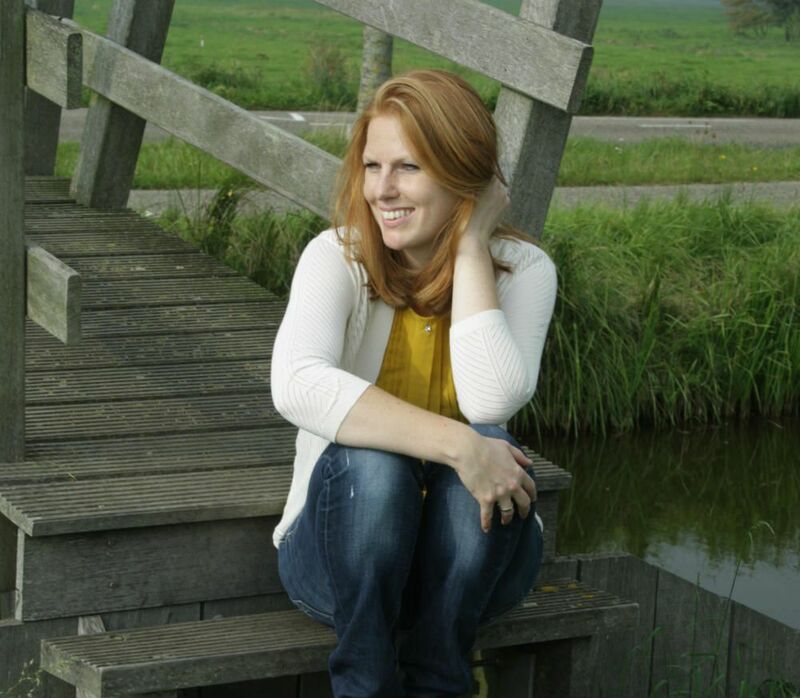 It’s also worth checking out Groningen, one of The Netherland’s most popular student cities. 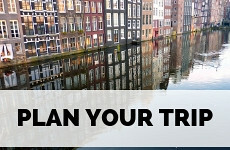 Plan your trip using my city guide Groningen. 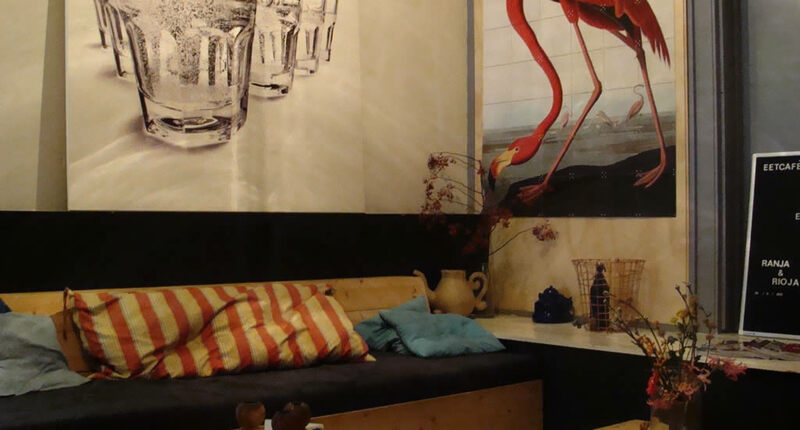 And check out 8 design hotspots in Groningen while you’re there.